Click Flash - Falling in love with Ladybird Likes. You think I would have learnt by now to stop looking up things I love. I need a dinosaur / kitten / robot / teacup / Bowie blocker on every auction site and independent retailer for my own good. 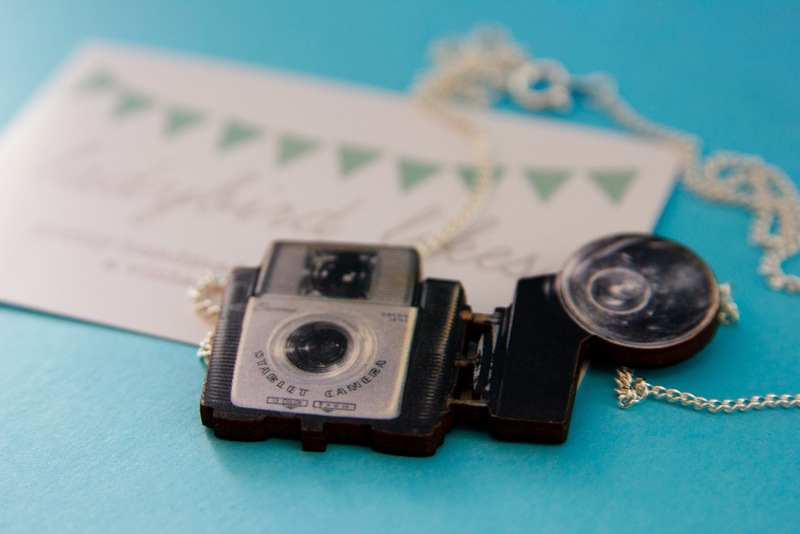 My smoking credit card and creaking jewellery storage both hate me, yet I couldn't resist the charms of this delightful camera necklace from Ladybird Loves. Can we just take a second too appreciate the super cute packaging? 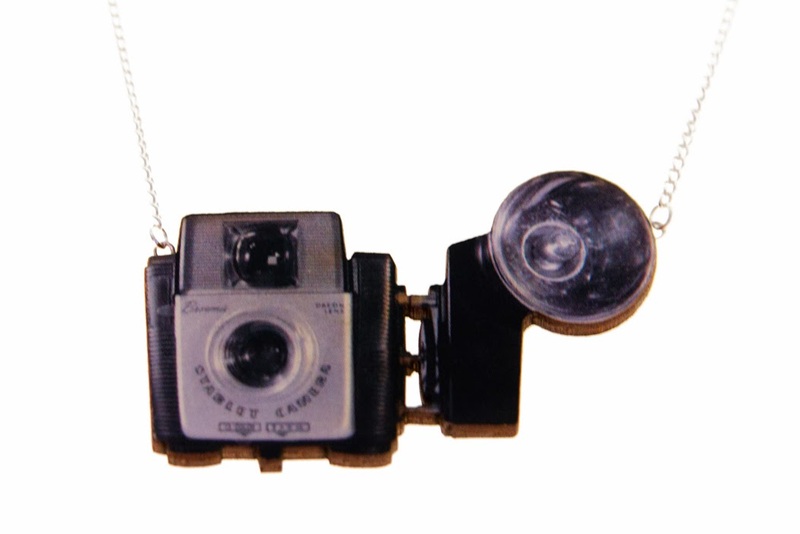 I needed this necklace like I needed paper shoes, but it was brought as a result of a late night editing session. When your eyes have been staring at variants of the same thing for hours upon end, the danger is to break things up with a little online window shopping. 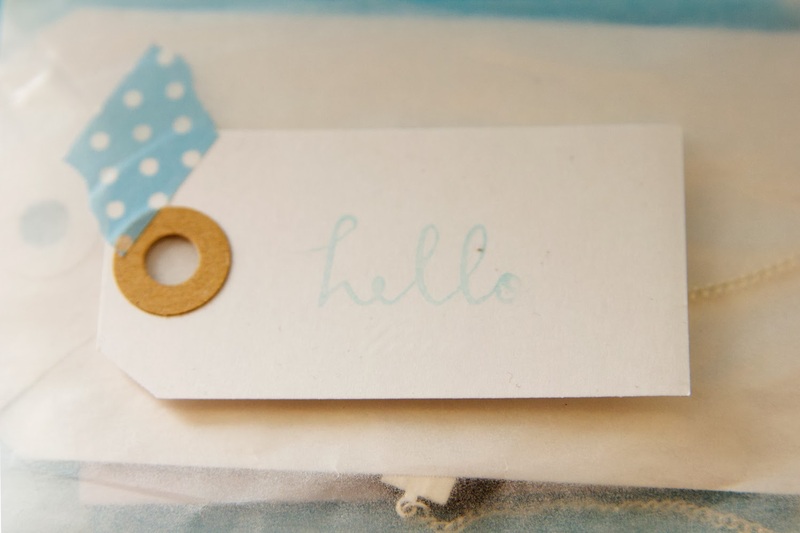 A dangerous folly indeed as armed with a cup of tea and a Paypal account, I found myself throwing all my favourite things into the search box of my new found obsession, Not On The High Street. 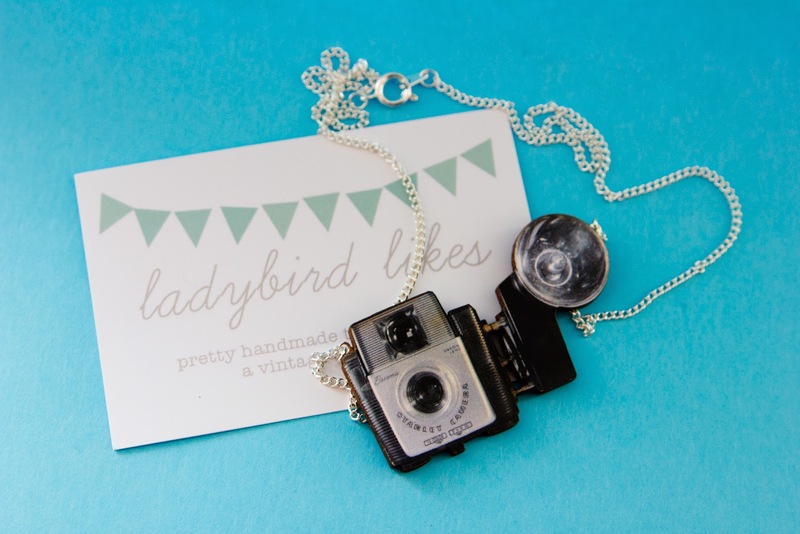 There were so many gorgeous creations dancing before my almost delirious, tired editing eyes, but it was the Ladybird Likes camera necklace which actually made me swoon. Now that it's arrived, it's already been worn several times so I'm happy that it was an impulse buy which paid off. 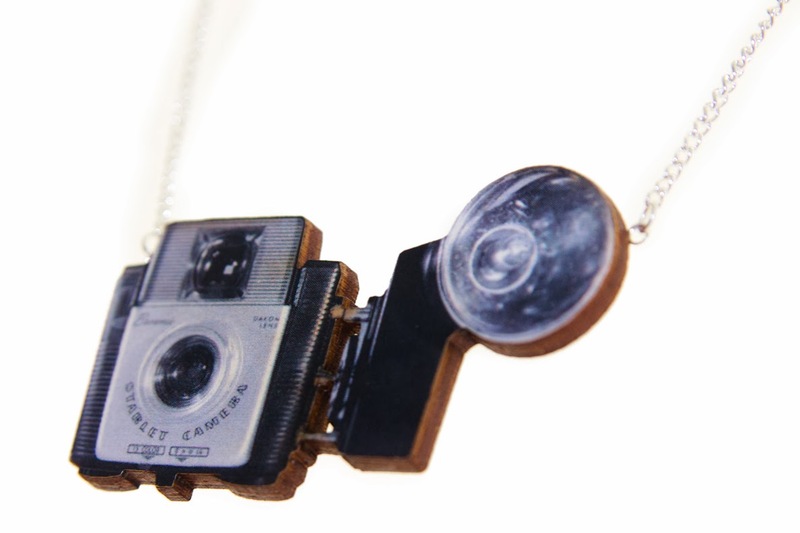 The range are all wood based and laser cut, and aside from cameras, it contains all manner of robots, pin-ups and other pieces of super cuteness. You can view the whole range here and fall in love just like I did!